The essential difference between a prenuptial and a postnuptial agreement is that a prenuptial agreement is entered into before marriage and a postnuptial agreement is entered into after marriage. Unfortunately, both prenuptial and postnuptial agreements carry the social stigma of divorce planning. The protection of a prenuptial or post-nuptial agreement extends not only to the dissolution of the marriage by divorce, but also to the dissolution of the marriage by death. In fact, it is my opinion that most prenuptial and postnuptial agreements are created to protect the parties’ assets upon death. A prenuptial or a postnuptial agreement is an essential tool in both estate planning and asset preservation for couples with children from prior marriages. If a prenuptial or postnuptial agreement meets certain legal requirements (the chief of which is the agreement must be in writing signed by both parties), then the agreement remains enforceable until the parties cancel the agreement by mutual consent, which usually must also be in writing. 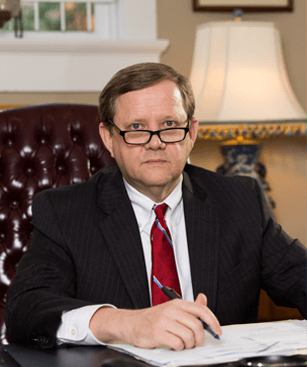 I am a Birmingham attorney skilled at negotiating and drafting both prenuptial and postnuptial agreements. If you would like to learn more about either a prenuptial or postnuptial agreement, please call me, Clyde Riley, at the Riley Law Firm at 205-212-5577. You can also reach me online.